I originally thought that after Clannad: After Story that Kyoto Animation would release Haruhi season two. Well, according to Wikipedia (the most "credible" source on the internet), I am totally wrong. The only thing this girl is missing is a witch hat! 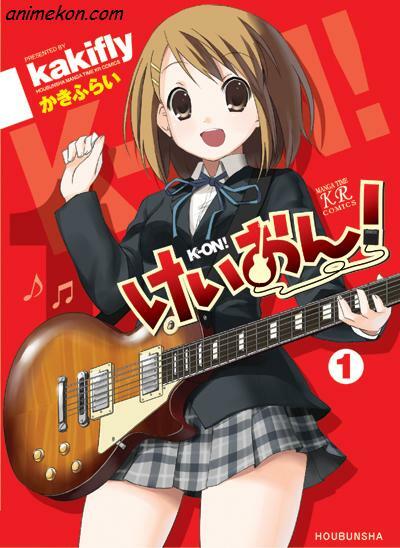 According to the Wikipedia article, K-On! (the apparent name of the anime) is about four girls who are trying to save their music club from being cut. So what's the problem? None of the girls can read music or play instruments! This actually sounds like it could be fun! This anime will be airing in April of 2009. With this in mind, we may be able to see our friend Haruhi around October of 2009. While there is no official release date, Kyoto usually releases two animes a year; one in April and one in October.